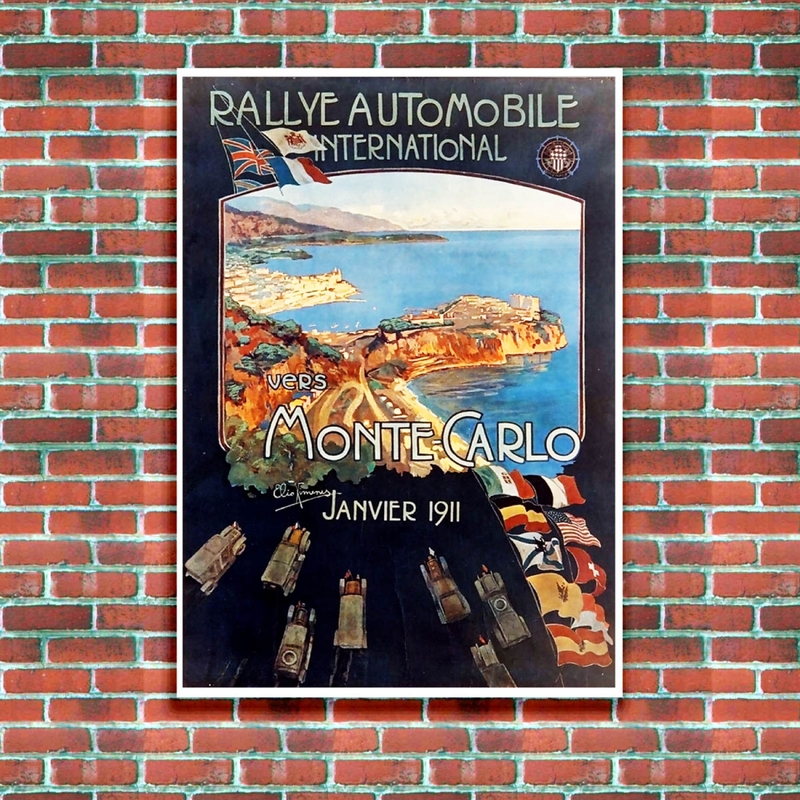 The ‘Rallye Automobile Monte-Carlo’ is the oldest rally in the world; its history goes back to 1911 and has been given a respected position amongst motor-sport’s best events. Competitors began the rally from cities located in all four corners of Europe, going on to tackle dangerous and challenging road conditions before meeting at the finish line and celebrating together in the exclusive surroundings of Monte-Carlo. 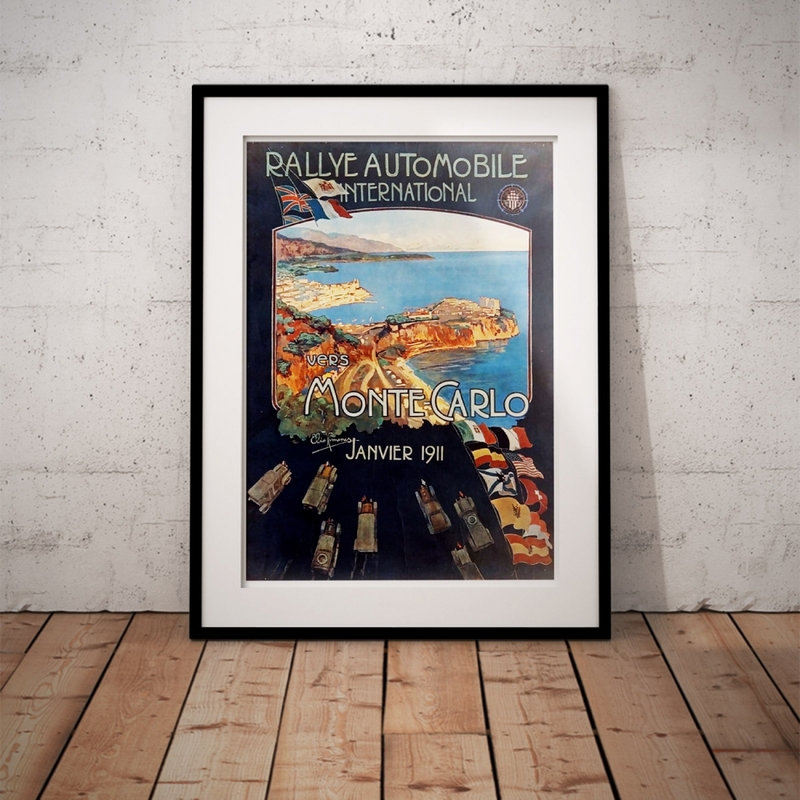 The Monte Carlo Rally (officially Rallye Automobile Monte-Carlo) is a rallying event organised each year by the Automobile Club de Monaco which also organises the Formula One Monaco Grand Prix and the Rallye Monte-Carlo Historique. 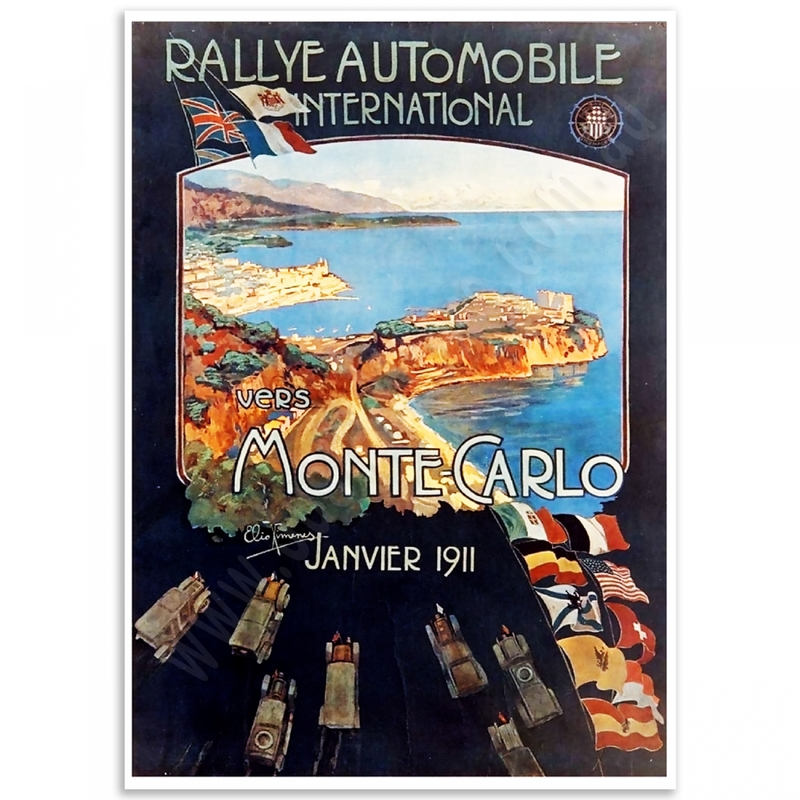 The rally takes place along the French Riviera in the Principality of Monaco and south-east France. Its first edition was inaugurated by Prince Albert I in 1911. 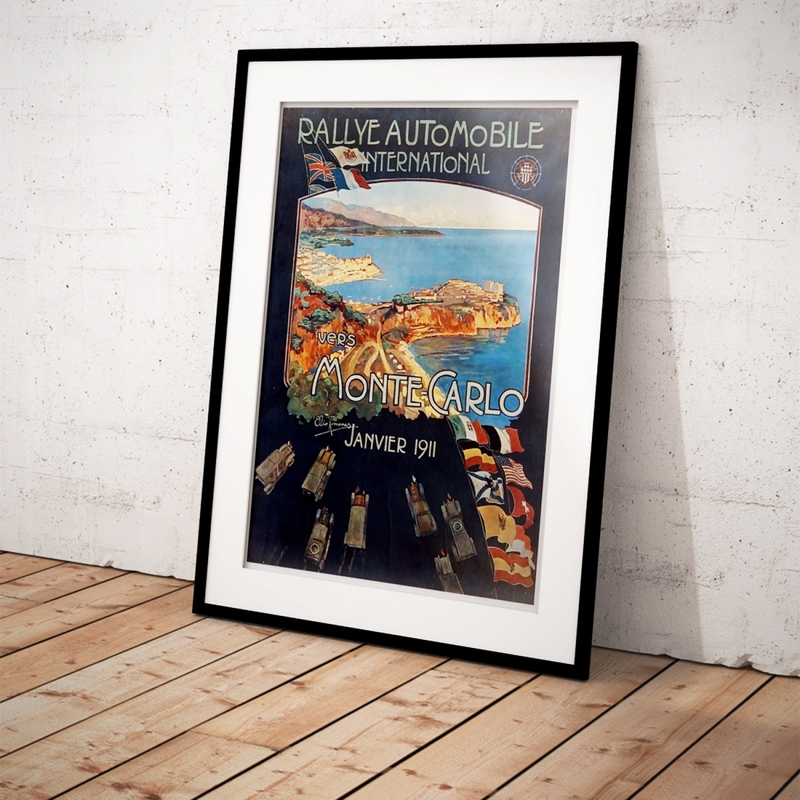 The "Monte-Carlo 1911" print is a reproduction of an original poster. Available Poster sizes: A4 [210 × 297mm], A3 [297 × 420mm] and A2 [420 × 594mm]. 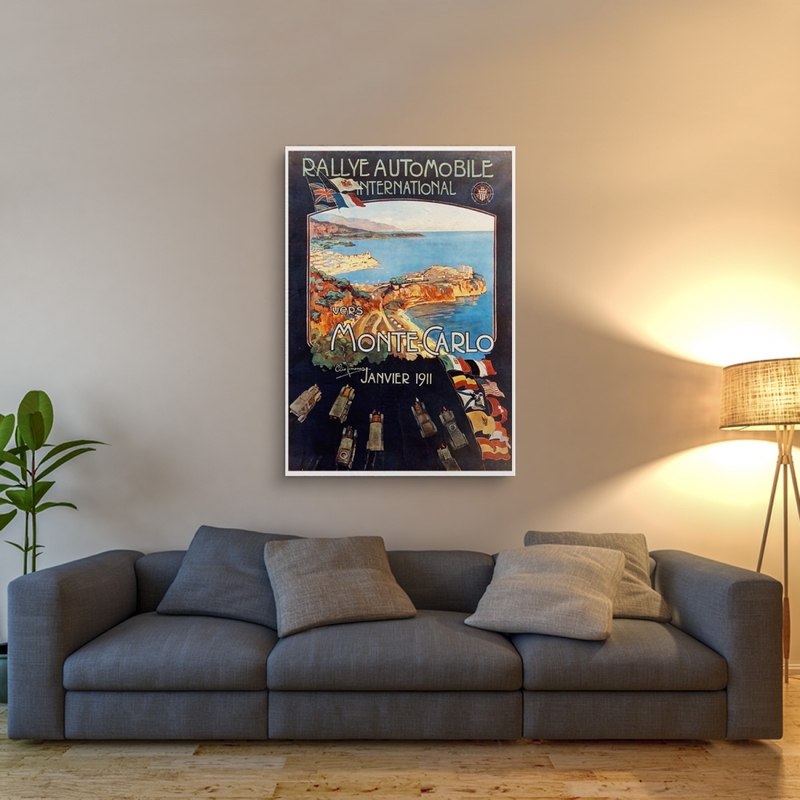 Home is Wherever You Park - Retro PosterRetro Tourism Camping Travel Poster.A fabulous poster ..